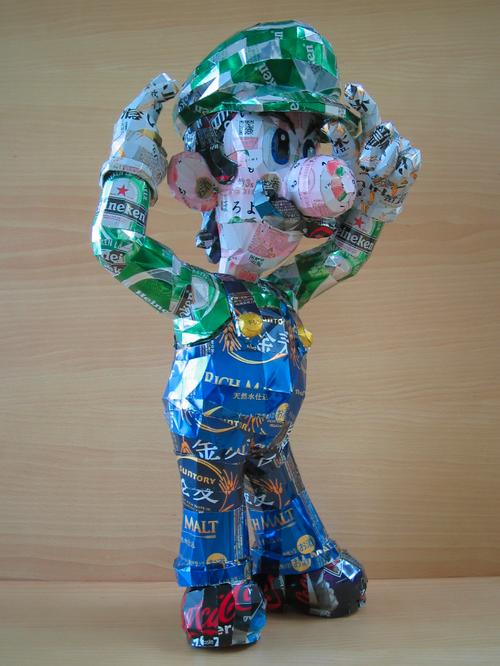 When it comes to recycling aluminum cans, most post don’t go beyond hauling them to recycling facilities, however there are a rare few that take old cans and turn them into art. 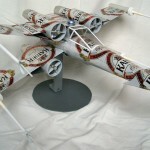 I’ve known people that turn old pop cans into model airplanes and such, but I have never seen anything quite this amazing done with aluminum cans. 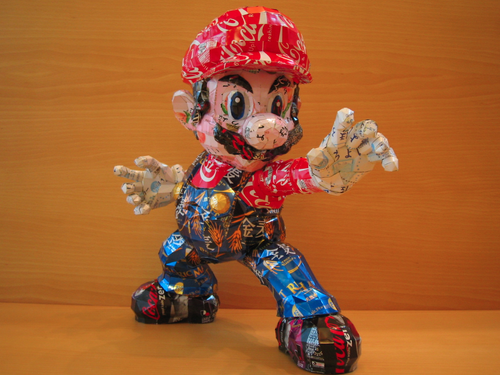 Japanese artist Makaon is apparently one of those people that likes to turn discarded aluminum cans into art and judging by this Mario and Luigi he built, I would say he is damn good at it! 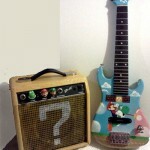 I don’t know how many cans these were made out of or how long they took, but I would definitely be interested in buying one of these masterpieces if the price isn’t too crazy. 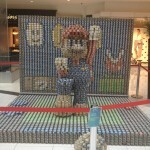 These Mario and Luigi aluminum can sculptures are spectacular!